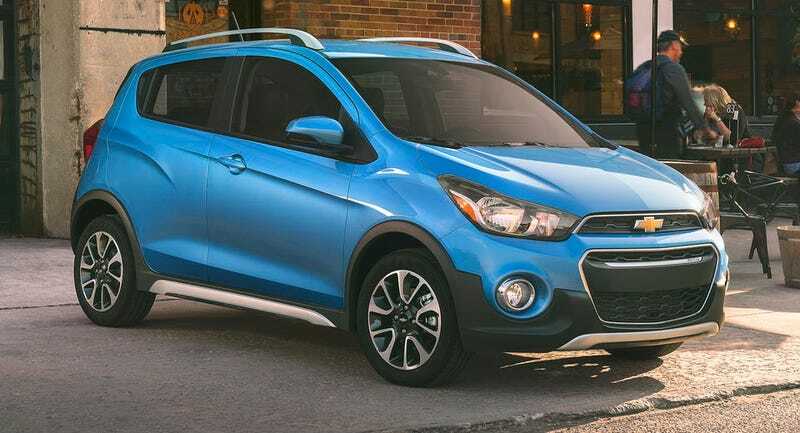 Plastic wheelhouse, 10mm lift and now we have the all new Chevy Spark ACTIV. You don’t hear quaking because this goose is cooked, people! Cheese and crisps this market has gone crackers. Ugh...yeah I like it!